ANDROID PAYMENTS: Japanese mobile network operator KDDI has launched the first smartphone to support Japan’s Osaifu-Keitai mobile payments service. 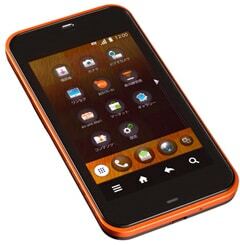 The new IS03 has been produced for KDDI by Sharp and runs the Android operating system. ANTENNA DESIGN: French RF antenna specialists New RFID Concepts has revealed that it supplied the NFC antenna design for Samsung‘s S5230 NFC phone. The antenna’s design enables it to be placed in a wide range of locations within a mobile handset, New RFID Concepts says, including on the screen, on the battery or on the main circuit board. ST PETERSBURG TEST: The St Petersburg Metro is to conduct an NFC ticketing pilot test, the St Petersburg Times reports. Ambiq Technology has been picked to supply the technology to be tested during the pilot and potential partners include Russian mobile network operator MegaFon and Bank St Petersburg. CONNECTED DRIVING: BMW‘s NFC car key concept now forms part of a wider Connected Drive initiative, which includes a wide range of projects designed to connect the driver to both their vehicle and the world around them. Dexigner has a detailed review of all the car maker’s Connected Drive projects. MOBILE CHECK OUT: Mobile commerce specialist Mobile Candy Dish has joined the NFC Forum as an associate member. The company operates the Blaze Mobile Wallet, a mobile banking and bill payment service that lets customers use a contactless sticker to make payments at the point-of-sale. This week the company introduced a mobile check out service that lets customers post details of their purchases to their Facebook pages. LEGIC/NXP DEAL: Legic Identsystems has signed a licensing agreement with NXP that will see Legic building support for Mifare technology into its suite of contactless access control products. LOW-COST AUTHENTICATION: SecureKey has unveiled a low-cost USB key solution that enables medical professionals, banking customers and others to securely log on to a computer or website by simply touching their contactless ID card, payments card or NFC phone to the USB key. GAUTHIER TO PAYPAL: PayPal has recruited Patrick Gauthier, Visa‘s former head of corporate ventures and strategic alliances, as its new head of market intelligence. TESTING PARTNERS: NFC mobile wallet developer Toro has signed a strategic partnership agreement with NFC testing, consulting and training specialists Collis that will see the two companies delivering a joint mobile payment and NFC test tool service as well as providing consulting and training services. DISCOUNT PAYMENTS: US merchants now have the option of offering consumers discounts and incentives for paying with a credit card that carries a lower transaction charge, the LA Times reports. Until now, merchants could offer discounts for customers paying by cash or debit card but had to treat all credit cards the same — even though fees can vary from 2% to 5% of the transaction value. FINGERPRINT ACCESS: Fingerprint biometrics specialist Authentec has announced a new sensor measuring only 8mm by 8mm by 1.2mm that is designed to be built into the central navigation key of a mobile phone. The sensor ensures that the device’s functions can only be accessed by an authorised user. To date more than 12 million mobile phones have been equipped with the company’s biometric security solution, mainly in Japan.